Kota Kinabalu – Defence Minister, Datuk Seri Hishammuddin Tun Hussein Onn reminded the people not to take the defence and safety issues lightly, but to see the seriousness of the Daesh (ISIS) attacks in Marawi, Philippines. Daesh is a very complex matter and as such we have to educate the people of the urgency to address this new phenomenon. Many people did not see its importance and urgency until it happens, he said. The Malaysian government is monitoring closely the incident in Marawi. The people of Philippines did not expect the Marawi`s attack and siege can be very long and is not solved in three months, Hishammuddin said. “We (government) have to take precaution all the time as some irresponsible people launch several attacks based on politics or otherwise. “If something happens, Sabah people will suffer just like what is happening in Syria and Iraq now. “The irresponsible people have played the issues of divide of aids, politics of pointing fingers and politics to get votes from the people. 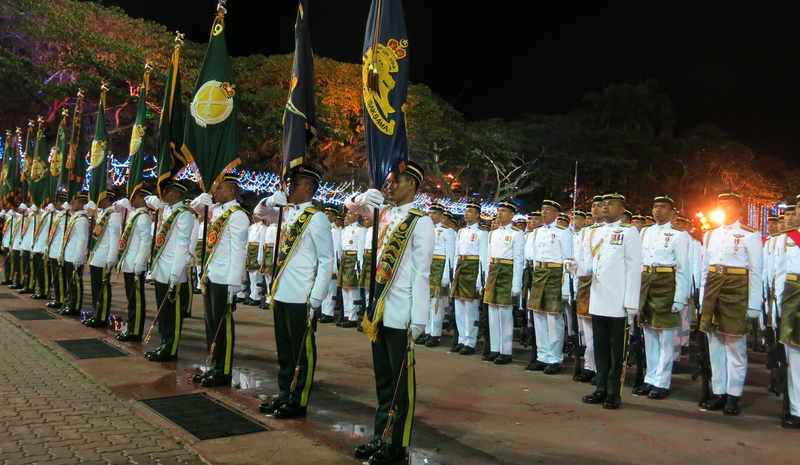 Being the government we have to be responsible and do anything to defend Sabah,” he said to the media after presenting awards to 61 recipients of various ranks in MAF at Padang Merdeka, here Friday evening. Hishammuddin added, The Battle Honour Award Parade “Daulat February 2013”, was held for the first time in Kota Kinabalu and has its own value and symbolic. Nobody can treat the safety and defence issues of the country lightly. Also present at the parade were the Chief Minister of Sabah, Datuk Seri Panglima Musa Aman, Deputy Minister of Defence, Datuk Seri Mohd. Johari Baharom, MAF Commander, General Tan Sri Raja Mohamed Affandi Mohamed Noor, Ministry’s Secretary General, Datuk Seri Abdul Rahim Mohamad Radzi, Sabah politicians and high ranking officials of MAF and Royal Malaysia Police (PDRM). The event was held to commemorate the invasion of terrorists at the Eastern Coast of Sabah especially in Lahad Datu on 11th February 2013. In that tragic incident, the defence and safety team was involved in implementing the “Op Daulat” to defend the sovereignty and the safety of the country. He said, as an independent country you can see how difficult it was for the Malaysian Armed Forces (MAF) to work and sacrifice their lives with tears and blood to defend the sovereignty of the country. Relating to the uplifting of the Malaysian weaponry systems, Hishammuddin said, to address Daesh issues, we do not necessarily have sophisticated weapons but an effective intelligence networks. Hishammuddin also said, not only Malaysia, Philippines and Indonesia are looking at the Daesh invasion seriously by signing Trilateral Arrangement but Singapore and Brunei and other ASEAN countries will be included in the near future. “This arrangement is very important as Daesh has pledged that they will invade not only individual country but the South East Asia region,” he added. On another development, he said the Air Patrol Trilateral Arrangement that involved Malaysia, Philippines and Indonesia will be launched officially in Subang soon. Malaysia World News also interviewed three award recipients on how they were involved in the “Op Daulat” mission. Lieutenant Colonel, Fazrul Azwan Mustafa from the Royal Malaysian Air Force (RMAF) said, as the pilot of the jet fighter Hawk, he had accomplished the mission that took less than 10 minutes. 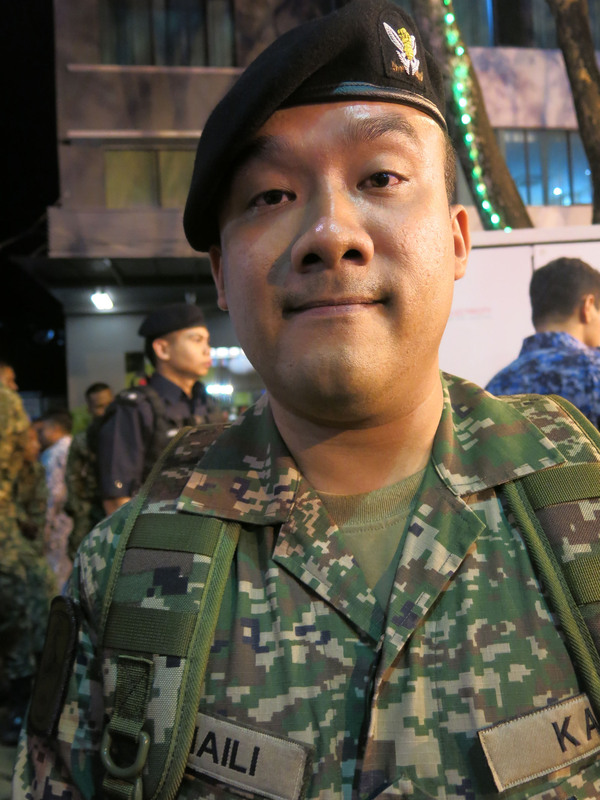 There were four other Hawks involved in the Op Daulat. “The training i have undergone these years has helped me to strike at the targeted point. However, I still feel the tremor today as it was my first involvement in a real battle,” he said. Warrant Officer 1 PRL, Sharilizam Abd. 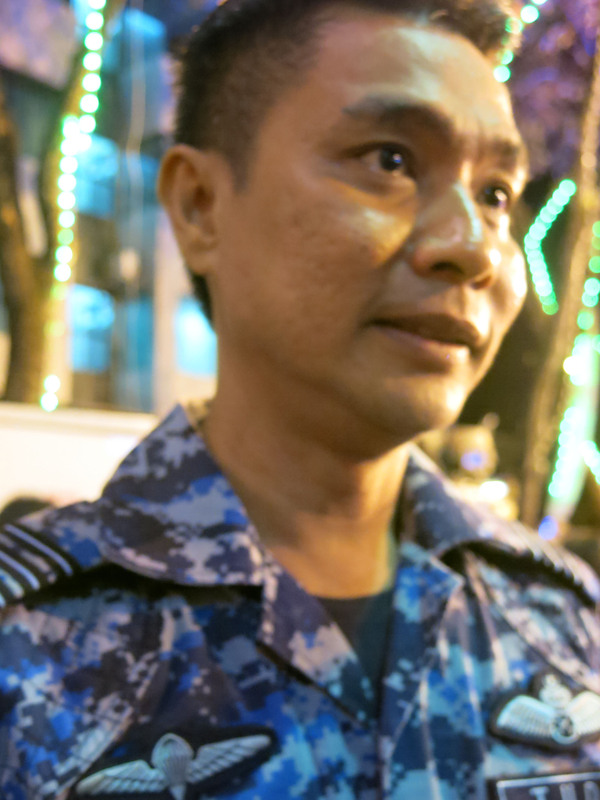 Ghani from Royal Malaysian Navy said, as the captain of the ship Sri Perlis, he was happy to carry out his duties and responsibilities in Op Daulat after 15 years of service with MAF. He was at Sandakan when he received the directive at 8pm to gather 40 staff and then proceed to the border of the Philippines. “The award is recognition to the staff of MAF who has contributed their best effort in Op Daulat and i am very proud of it,” he said. 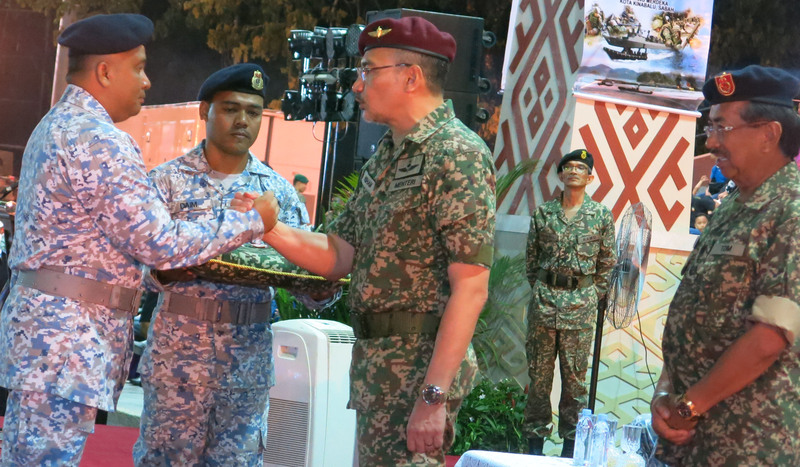 Captain Suhaili Mahasan from Malaysian Army said, the award given to those involved in Op Daulat will encourage them to defend the country at their level best. It is actually the responsibility of every citizen to protect and defend the country.